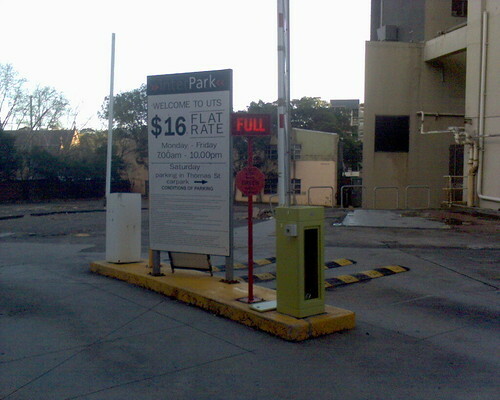 In the now closed car park beside UTS building 10 the sign declares it full. Perhaps the sign is thinking back to better days, when many a uni student and staff member would park there for the day? Or maybe it has its invisible friends there to keep it company? This entry was posted in Photos, Uni and tagged carpark, full, photo, sign, UTS. Bookmark the permalink.